Great LVAD Blogs & Peeps! I have had many heroes and mentors in my life growing up. From fantasy and books; Batman, Superman, Wolverine and the X-Men, Captain Kirk, Luke Skywalker, and on and on. There were heroes from life; Walt Disney, Teachers, Family Members, Co-Workers, and friends. Heroes who inspire me, affected me, motivated and challenged me. I know them fairly well, either through a personal relationship or reading and studying about those heroes. Which makes the Hero I have to add to the top of my list a bit of an anomaly. I have never met this person, but I have as personal of a physical connection to this person as a person could possibly have. I don’t know anything about this Hero, not even his/her name. In fact I may never know, even though I hope to find out some day. This new hero is my heart donor. On May 2, 2014, my journey of living with heart failure after a virus first settled into my heart 12 years before that, has entered a new phase as I was blessed with the gift of a new heart. I don’t have any information about my donor. I will be able to write a letter to my donor’s family and hope that they would want contact and then share some info so I may better know this great person. In the U.S., the organ donation process is completely anonymous and protected. Until then, I don’t know if it was male, female, what age, where they lived, what they did, or anything else. I know this person is selfless and generous. They cared enough to pass on a piece of themselves to afford me to continue and improve my life. They chose to do something that hopefully provides a positive out of any negatives that their passing has caused their family. For that simple fact, this person will be the greatest hero I may never meet. You too can become a hero to someone just by becoming an organ donor. You can sign up any time you renew your driver’s license, or online sites such as http://www.donatelife.com. I guess after having an LVAD for a almost a year and a half, I’ve become someone that people will ask for advice or information, especially if they are considering an LVAD or have been told they may need one, or have just had one implanted and are looking for guidance on something. 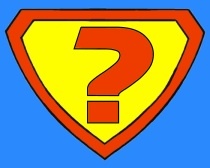 I am honored if I can ever be of help as there is no such thing as a “stupid question” with an LVAD. There are still less than 20,000 of us worldwide that even have this device, so we are definitely in a unique group. This term refers to that time of the day when an LVADer must choose to switch from being battery powered (mobile and free to move around) to plugging into our wall-powered power base units (a cord that is basically less than 30′ long). 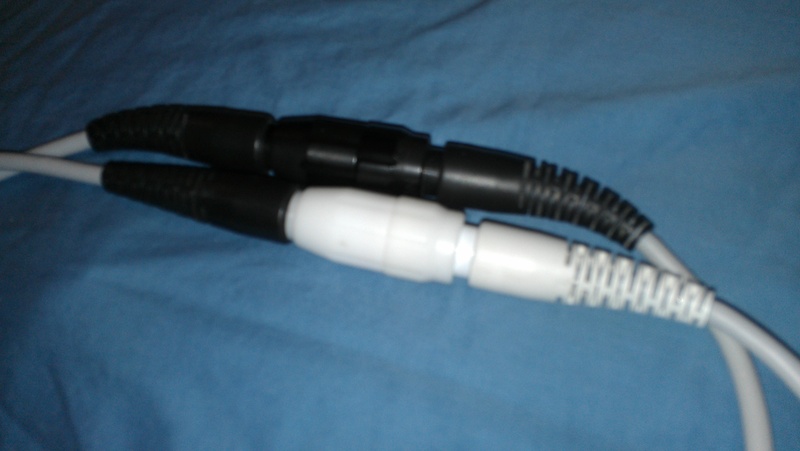 I spoke about this LVAD leash in an earlier post. When we came home from the hospital with this equipment we had to do a lot of rearranging in our bedroom to allow me to be able to have the equipment close enough to the bed (we typically plug in before going to sleep). The cord is long enough to allow me to visit the bathroom. It is also long enough for me to reach the threshold of our children’s room, but not long enough to go into their room if they cry out. I have to encourage them to come to me, or have my wife tend to their needs. It also might be barely long enough if I lean a bit to reach a hall pantry where the occasional midnight snack can be found (salt-free of course). Many people hate this cord. They hate giving up their freedom. It is something that depresses them, or causes them anxiety right at a time they are supposed to be getting ready for bed and settling down. I have come to terms with this cord and actually have a different viewpoint to share, in hopes it can help these others over this issue of plugging in. I personally have come to even look forward to this time of the evening . Why you ask? I look forward to this time of the day for several reasons. I know that if I am plugged in, then everyone is home that is supposed to be, and if not in their beds yet, they are safely in the house. I know that the doors are locked and the house has been secured for the evening, I know that all of the medications I will need as well as the water to take them with is ready. II know that I have checked the weather alerts to make sure that there is no impending weather threat that would threaten the power supply (meaning I would have to jump back on batteries). Basically, it means that all is as it should be in that small area of control I can control in my life, and it is easier for me to rest. Hopefully this alternate viewpoint helps you look at the LVAD leash in a new light, and can solve some of the issues around plugging in. Now if I can only figure out how to solve LVADinsomnia! As many of you have been reading my blog on a consistent basis, know that I have multiple devices implanted into the left side of my chest in order to keep my heart beating as best as possible until a donor heart becomes available for a transplant. I have a Bi-Valve Pacemaker (Medtronic), an ICD – Internal Cardio Defibrillator (Medtronic), and an LVAD – Left Ventricle Assist Device (Thoratec). Two things these devices all have in common, is that one, they are keeping me alive, and two they require and utilize electricity to perform their respective functions. The ICD and Pacemaker are fully implanted in my body, and run on a battery pack that sits under my left pectoral muscle just under my collar bone. The LVAD needs external Lithium-ion batteries that can allow me freedom and mobility for 12 hours per pair of batteries, and I can run off wall current at home. The home device that allows me to plug into the wall, only allows my 30 feet of freedom as I am on a cord plugged into a Power Base which then is plugged into the wall. The LVAD has lead to many nights of sleeplessness and worry on those evenings when we have had inclement weather and I need to worry about power outages or whether or not I have to switch back to batteries to sleep that night. My friends affected by Hurricane Sandy had to truly find unique solutions to keep powered, from generators, to Fire and Ambulance Stations, to car battery converters and generous neighbors. Recently I have had issues with my ICD which has caused a rollercoaster of emotions, and experiences with electricity. The purpose of my ICD is to deliver a life-saving “therapeutic” dose of Electricity to my heart to knock it out of dangerously high heart beat situations. Think of heart rates in the 280-300 beats per minutes equal to being very dangerous meaning impending unconsciousness or death (remember that Bruce Banner only needs his heart rate to exceed 200 beats per minutes to transform into the Hulk). So when my ICD gathers electricity and jolts my heart, it is working heroically like Thor and his Hammer. broader field (leaving Electro less places to hide). The surgery was a success, and my equipment was tested to make sure it would fire appropriately when need be to knock out the problem electrical rate. So, now I have more metal and wires for my own Iron Man suit, but no armor or lasers (yet). Many people also go through a lot of mental stress over being shocked. According to many thought leaders it can result in the same levels of PTSD (post traumatic stress disorder) where one shock is equivalent to being shot. Well I took six shots, so I guess there’s a bit more to work through there. All of your prayers and support mean everything to us, but with Faith, Family, Friends, and Mental Will we’ll get through this latest chapter. I’m coming up on my 1 year anniversary since my Left Ventricular Assist Device (LVAD) was implanted last October 7th, 2011. It has brought to mind the many seasons I have gone through in just one year of living with this amazing piece of technology that has all but saved my life. Last year, I all but missed this transition of the end of summer to fall, which here in Minnesota is actually a really spectacular thing. We are blessed to have four distinct seasons of weather during the year. True, we have a devastatingly cold winter, but that is the price we pay. Fall happens to be one of my favorite seasons of all in Minnesota. It is harvest time for corn, pumpkins, and other crops. 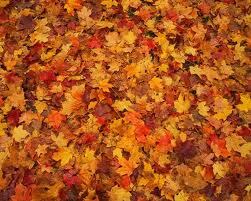 The deciduous trees are in an explosion of colors that hit every spectrum of yellow, orange, and red. The weather is mild and not humid, and the nights are cool enough to entice a warm fire in an outdoor fire pit. Life seems to mirror nature to a degree that we all have various seasons we travel in and out of as well. The LVAD implant surgery was a long season for me. I was in the hospital for 40 days and nights trying to get healthy enough just to survive the surgery, and to become strong enough to return home after the implantation. I spent our 11th year wedding anniversary in the hospital, and was also in the hospital when my mother passed away. After the implantation on October 7th, my sole goal was to be home in time to have our 3 year old twins and 9 year old daughter enjoy Trick-or-Treating on Halloween. I made it home three days before Halloween to realize this goal. The second season of LVAD was recovering from the surgery itself. They don’t really tell you, nor can they ever really prepare you for how your body will react to a major surgery, which includes your chest being cracked open for the implementation of the device. It took another four months after returning home for me to start feeling back to “normal” (as normal as I can be with this device). I went through several home visits with Physical, Occupational, and Cardiac rehab nurses in order to get to where I am today (working full time and chasing the kids around). The third season of living with an LVAD seems to be where I am today – trying to regain as much of the activities of life in spite of the limitations on me based on the device. Once you get used to the basics of the device (which truly are a lot, I don’t want to minimize or trivialize the things I and other LVAD patients live with), you can start testing and pushing the boundaries. Please realize though that going an inch over the line seems pretty risky in boundary pushing for me! This is an interesting and challenging season for me in many ways. On one hand, I feel better than I have in years, while on the other hand, I have a heart that is in end stage failure and can’t support my vital functions without the support that the LVAD provides. Some parts of my physical body may be as close to being dead material as they can be, yet I have never felt more alive than at any other time in my life. There is an overarching season that also plays into this. I am on the heart transplant list waiting to be blessed with the gift of a heart from a donor. Because of my size, age, gender, tissue, and blood type (O+), I have been told that this season of waiting can be up to two or more years. It is something I cannot affect or control, so I must live in this season and cope with the facets. The best thing about going through these seasons is that as the sun continues to rise and set, time passes, and seasons do change. It is important that I can mark their changing, as it reveals to me that I am still moving forward and not at a complete standstill, placing a life (that is too precious and valuable to waste) on hold with the expectation that It will be a perfect world with a new heart. What seasons are you going through? Back in October of 2011, when I was in the hospital, I qualified to get on the waiting list to be blessed with the gift of a donor heart when one became available. There are so many contributing factors that can cause you to not be a candidate for a spot on the list. They take into consideration your entire health history (you and your family’s), behavior (drugs, smoking, risky sexual activity, and alcohol use), weight (& BMI), living conditions, a psychiatric evaluation, and many more contributing factors. It is a pretty important gift to give someone, so they are thorough in the qualification process. Once I had my Left Ventricular Assist Device (LVAD) implanted, I had to go on “hold” status rather than “active” to allow my chest to heal from the chest crack surgery that allowed them to implant the LVAD. I didn’t go back on “active” status until December of 2011. The list has a few categories, but most important ones are 1A & 1B. Status 1A usually refers to a patient that has an emergency need for a heart and is usually currently hospitalized while waiting for such a heart. Status 1B refers to those with just as much need, although their health allows them to continue to pursue living their lives outside of the hospital. I am officially on the list as Status 1B. There are almost as many conditions for a heart to be matched to someone once a donor heart is available such as; blood type, tissue match, size, health of the organ, etc. So it is typically quite the wait for a perfect match. I was told that here in the Midwest (Region 7 of the UNOS map), it could take an average of 2 years, based on my blood type alone (O+). So mentally, my wife and I have conditioned ourselves that it would be a two year process. There is also something called “Prime Time” for someone with an LVAD. It is a period where for 30 days you can be elevated to the top of the list (for your organ requirements) for 30 days. It is usually a period where there is determined to be no one else with your same needs that is an emergency 1A, as they would always get priority. So, on Easter Sunday, we received the call that I would be moved into the “Prime Time” category and if a heart in my requirements comes in, and there is no emergency need for it elsewhere, I will get “The Call” to come in for a transplant. This is exciting and scary at the same time. Our family has started focusing on the fact that this may happen sooner than later, and after a few days of shock, waiting for this to sink in, my bags are packed to go to the hospital. We are also very much focused on the gift that a donor will be giving to me, and pray for that donor and their family, as they will undergo the pain of losing a loved one, even though a gift may help another live. I will be setting up a Caring Bridge page as well to update people when that happens. So if I disappear from here, Twitter, and Facebook for a few days, it might mean that I got “The Call”. Christopher Gabriel, his wife and family have been great friends of ours over the years, His talent for Acting and Storytelling are brought to bear perfectly in the “Theater of the Mind” known as broadcast radio. I was honored to be asked about and to share my current phase of life with Heart Issues and a Left Ventricle Assist Device (LVAD). You can click HERE to listen to the interview.